Cisco is calling their new multidimensional approach to collaboration “Cognitive Collaboration” and define it as “the intelligence and context integrated in a collaboration enabled workflow for connected, relevant, and human experiences.” As the world becomes more connected, digital meetings need the capabilities to connect us the same way in-person meetings used to. To give digital meetings that in-person feel, Cisco is integrating facial recognition, a virtual assistant, customer journey insights and people intelligence and insights. The best part? Automated alerting for news spikes for the companies you own or manage! 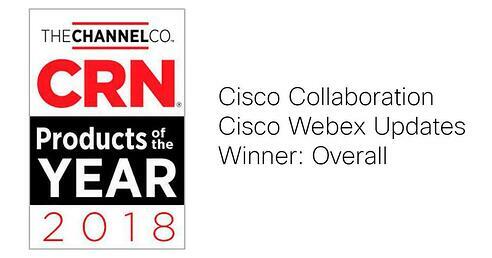 Webex won the CRN 2018 product of the year award! But, that isn’t stopping Cisco from continuing to up the game. Webex assistant: the new Webex Assistant is designed to make it easier start meetings, join or leave meetings, make calls, navigate and control devices, find and book a meeting room, share screens or whiteboard, record meetings, and take meeting notes. Broadsoft helps to reduce inherent cost, complexity, while maintaining feature/functionality, security, and reliability with Cisco Webex Calling: a cloud-based, communications solution, packed with all the enterprise-grade features of a PBX and integrated with Webex Teams and Devices. 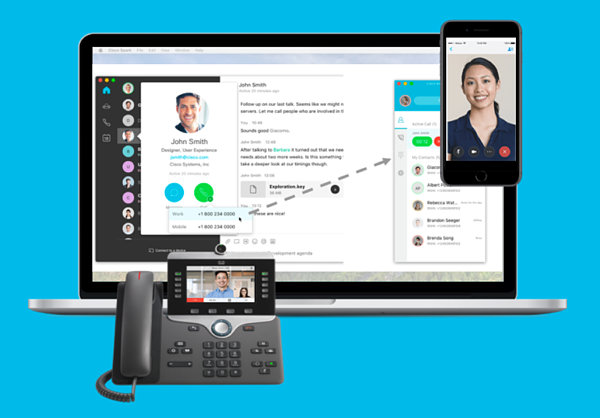 Add on the available Webex Meetings to make the most complete, business-ready bundle on the market bearing the trusted Cisco Webex brand and proven Cisco BroadCloud calling platform that is used by over 20 million business users worldwide. Webex Calling makes it easy to move to the cloud at your own pace by bringing all the functionality you need together for calling and collaboration in one simple package under the Cisco Collaboration Flex Plan licensing model. Deploy as cloud-only, or as part of a mixed network of cloud and on-premises PBXs and gateway's, depending on business requirements. No matter the deployment model you can re-use your existing PSTN connectivity (TDM, SIP or IPPBX) as well as the Cisco 6800 and 8800 series endpoints you already have in use in your environment today. The Collaboration Flex offers financial protection and flexibility for you to deploy and transition users from on-premises to the cloud through one subscription. The new Cisco Collaboration Flex Plan is a subscription plan that allows companies to pay for Cisco collaboration tools per active user in their organization. The Flex Plan offers faster, simplified ordering and covers Webex Meetings, Teams and Calling.